Play the classic Simon Says memory game with a fruity twist. 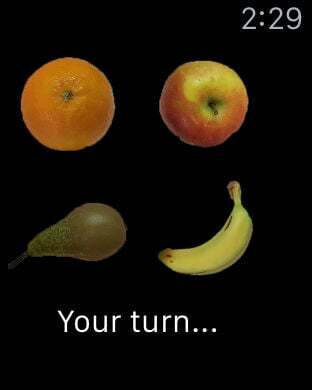 Watch the fruit light up in sequence, and then you must repeat them in the same order. The sequence grows longer and faster with each completed level. Also play on your Apple Watch. A simple game yet highly addictive. Train your memory and test your memory against your family and friends.